We are doing a Quick Wins episode. 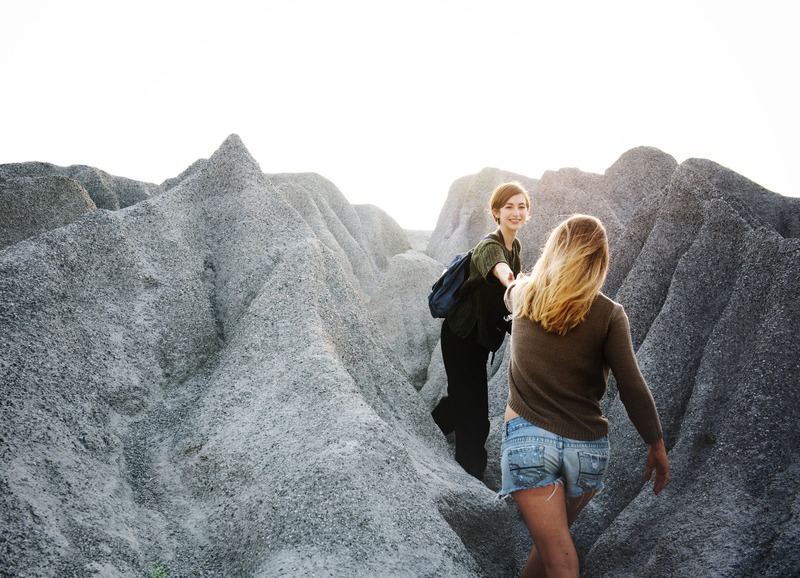 Quick Wins are when I have the opportunity to connect with individuals, discussing products, ideas or services to help round out your consulting toolkit. We’ve got super cool guest. I call this a special edition, go-getters. We’ve got David Barnett on the show. He is a seasoned consultant, an author, a speaker and he’s a former business broker. 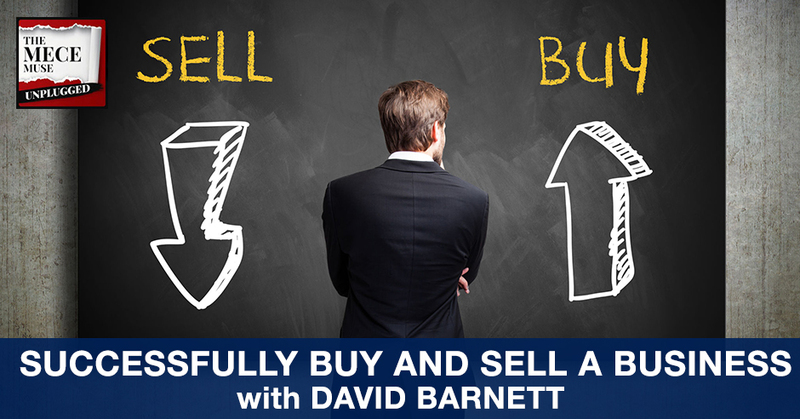 I asked David to join us on the show to talk about the buying and selling of businesses. It’s a topic that I hear a lot of consultants talk about. Just from an M&A perspective, when at least the consultants that I know and work with, they may do a lot of what’s called mergers and acquisitions transactional types of work. What David is describing and what he’ll share on the show is for those go-getters out there that may be already entrepreneurs, independent freelancers that are wanting to step their entrepreneurial consulting game up in scale and thinking about buying a consulting firm or go getters out there that currently have their own boutique firm and maybe thinking about selling it off. David provides cool insights. David has a unique position he plays. He acts as a consultant for individuals that are seeking to buy a business and giving people the ins and outs of the business brokerage and commercial debt structuring, different kinds of elements of buying and selling businesses. David is going to unpack what do you look for when you’re buying a business, selling it, managing small businesses, the complexity of it. Sometimes people don’t realize how complex it is to buy and sell what he calls the main street businesses, things like gas stations and laundry mats. He talks about that nobody else talks about where he sees business buying and selling, where he sees that headed, what are some of the trends out there and what are some things that you should consider if you are looking to be in this space. I thought it was really unique. I want us to do a quick recap of my experience. I’m officially a TEDx speaker. I had the utmost pleasure of hitting the TEDx stage in Zaragoza, Spain where I talked about how to create thriving organizational cultures and my talk is called Why Great People Quit Good Jobs. It was so surreal to not only be on the stage but the journey it took to get there has been pretty exciting. I do plan on doing an episode just on TEDx and I want to gather some of my peers in this space to talk about if you’re interested in doing TEDx talks or hitting the TED stage yourself and want more information even attending a TED event. Before I went down the journey of my TEDx journey, I attended a TED Talk event because I wanted to get more insight. You see what is the final outcome on YouTube videos and if you go to the Ted.com website and that’s pretty cool. Being a true consultant, I wanted to get more of the real deal inside. I volunteered for a TEDxBeaconStreet event and I learned so much. It was such an inspiring place to be and it was so amazing. I felt like I got a lot from that. We’ll talk about TED and TEDx Talks in the future and I look forward to sharing that information with you. David, how are you doing? 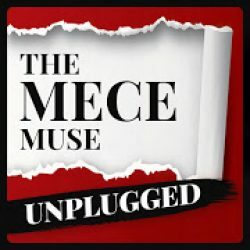 Welcome to the MECE Muse Unplugged. I’m doing well. I’m happy that you invited me on the show. It’s great to be here. Thanks for joining us. David is doing some cool things in the world of transaction. When we think about mergers and acquisitions and he’s in this space, he’s living in this space, I feel like this is going to be an informative conversation. David, maybe you could give yourself an introduction to the go-getters of the MECE Muse Unplugged. I’ve always been an entrepreneur. I’m from Canada and I had a requisite teenage boy business of shoveling snow from his neighbor’s driveways. That built upon with paper routes and different things. I ended up going to business school because I thought that I would become a business man if I got a business degree. It was only in my third year there that I realized I was being turned into a Fortune 500 bureaucrat. One of those middle managers in the giant machine of one of these big enterprises. When I got out, I had the great fortune. It was the mid ‘90s. I got out and got a job in sales with a Yellow Pages publisher. What was so great is that the Yellow Pages is, at one time, the place for local businesses to be advertising. Back in those days, if you type plumber into Google, you would get some guy in California. They hadn’t figured out how to do local searching and so the Yellow Pages was important for all the mom and pop and what I’ll call main street businesses, the local businesses in every community. I had the chance to go out and meet the people who owned them and ran them, find out how they ran their businesses, how they made money, and what kind of people they wanted to listen to when the phone rang, who did they want to be on the phone. I learned a ton about different kinds of business models and everything. By 2005, the writing was on the wall. I knew that in ten years’ time, there likely wasn’t going to be as great an opportunity in publishing phone books as there had been because of the internet and everything. I started looking for new opportunities and I’ve found a franchise that I wanted to buy. When I approached that company, they told me that the market I was in was too small. I did what any good entrepreneur would do, I ripped off their business model and did my own thing and try to copy them as closely as I could. A year and a half into it, I decided that I didn’t enjoy the business. I preferred to work with business owners and so I sold that company. That was the first transaction I had ever did selling a business and I did it rather naively. I didn’t know any of the stuff that I know now and I was fortunate that I did a deal with a buyer who is a real upstanding guy because I certainly could have been taken advantage of in that deal and I wasn’t. It worked out exactly the way it was supposed to. My next step was to get into brokering commercial debt and financing. I started a company that would help business owners get loans, operating in capital leases on equipment, factoring facilities, which is the sale of accounts receivable to turn them into cash. I was working in this domain helping people in business get money. I kept finding people who were coming to me looking for money to acquire businesses that were already running. One of the things that struck me is that in almost every case, the people seem to be working with people who had no idea what they were doing. They had no idea how to put the deal together. We’re talking bad stuff like real estate agents who would write up the purchase of a business on a contract designed to buy a house. It didn’t speak to operating capital, it didn’t speak to inventory, it didn’t speak to employees. We get calls from bankers who would say, “I’ve got this couple, they’re trying to buy a little corner store. They need financing, but they need more than that. They need help to get this thing put together properly.” I helped people to the best of my ability and just so happens that I ran into the financial crisis from 2008, 2009. Almost half the company that I was using as a source of capital for my clients went under in that crisis. My deal pipeline shriveled up because my suppliers of money went away. I knew that I had to pivot myself and so I decided that I’d go into the world of business brokerage and so I signed up with a large international brand of business brokers, a franchise brand. I chose them because they gave me access to training and over two-year period, I spent three weeks going to sessions where I attended classes and then finally I wrote an exam. I became one of the first people in my market to obtain a certification in buying and selling what we’ll call main street businesses. Typically, businesses with sales under $10 million. I worked in that industry for three years. In three years, I sold 36 companies for other people. Business brokerage is an amazing business and I loved it because it held for me all of the problem-solving requirements of doing sophisticated financial deals but at the same time you had to manage people and their feelings. A lot of the times, there were a lot of emotions involved in these family businesses that have been grown for decades that we’re suddenly changing hands. In a lot of ways, it was one of the worst businesses I have ever been in because business brokers typically, they represent a seller, they sign the business up to be sold, and they only get paid when they sell the business. One of the first businesses I ever signed up was a fried chicken restaurant franchise, which was also the very last business that I sold before I got out. That file was on my desk for three years and even though my commission on that deal was probably over $50,000, I worked for three years to get that $50,000. As a business broker, I had these big windfall payments coming in but then I couldn’t spend the money because I was never certain about when the next one would come in. It was this up and down and up and down with cashflow and eventually, I decided I needed to get out of that industry. I left at the end of 2011 and left the industry altogether. The worst thing that can ever happen to an entrepreneur happened to me, I got a job. I started to work for a multinational banking concern and I covered the Atlantic region of Canada working with their clients. Buy and Sell a Business: The normalization follows a certain set of specific rules so that we can look at the true net benefit to the owner of the company. It was after a few months of being with them that my phone started to ring and people would call me and they would say, “I’ve got a business I want to sell and I’ve heard that you’re the guy who can help me.” I would have to excuse myself and say, “I’m not in that field anymore. I can’t help you anymore,” but the calls kept coming. This one particular guy named Bob called me up and he said, “Dave, I’ve found a business I want to buy. I’ve spoken to my lawyer and I’ve spoken to my accountant and they both tell me where I need to end up in this deal. Neither of them seems to be able to give me very good guidance in how to negotiate it. 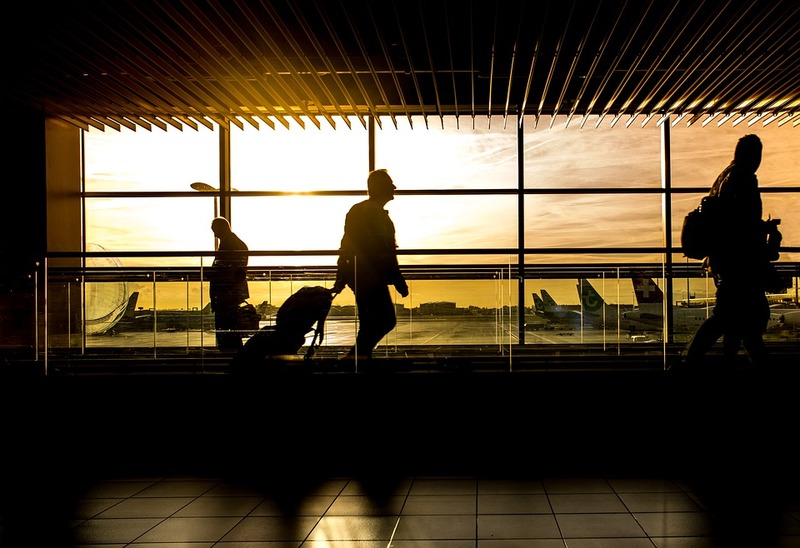 They know their part but they don’t seem to be able to navigate me through this.” I said to Bob, “I have the knowledge and the experience to get you through this, but I’m not a business broker anymore and I have a full-time job during the day. If you want my help, I’m going to have to charge you like a consultant would. I’ll have to charge you an hourly fee and I can only meet with you on evenings or weekends.” I paused and waited on the phone as the seconds ticked by and then suddenly Bob said, “Then you can meet me Saturday at 9:00 AM?” I said, “Yes, I can meet you Saturday at 9:00 AM.” That was my very first consulting client in the world of main street business transactions. It built from that point over the next two years to the point where my clients on the side were bringing me more revenue than my job. That is such a great story and so organic how it all came together. It feels like you have a full circle type of journey. It’s interesting because there are different parts of that journey that were painful but I realize in looking back that if I hadn’t gone through each of those dips, it never would have led me to the next plateau. Thanks for sharing your career journey. If you can take us a step back and maybe break down the high level, just a day in the life of a business transaction like what happens and what’s your role and why would someone seek out a consultant like yourself? You mentioned M&A. In the world of M&A transactions where we typically use those initials, mergers and acquisitions, we’re usually talking about bigger companies with lots of professional management and maybe even publicly traded companies where there’s a real high standard of how things are done, the way the books are kept, and all this kind of thing. In the world of main street business, we’re typically talking about small business and there are two very important factors at play. Number one, we’ll genuinely call it a little bit of ignorance. A lot of the people who own and run these smaller businesses, they know their trade in their industry, but they’re not professionals at running businesses. There are certain things that happened in those businesses that are not nefarious or anyone’s fault. It’s because somebody doesn’t know exactly what they’re doing or how to do things the best way. The second thing that happens in the world of small business is because the owners and managers are typically the same people and because they usually own the entire organization, they’re free to manage it in a way that enhances their lifestyle rather than maximizing cashflow to shareholders. Let me give you an example. The small business owner will quickly realize that he shouldn’t personally have a cell phone because then he’s got to take money out of his entity. He’s got to pay personal tax on that money and then he’s got to take that money that’s been taxed and he’s got to pay the cell phone company, he is going to pay sales tax on that. It’s much smarter and cheaper to have the company pay for the cell phone. Small business people will try to take personal expenses and put them into the business whenever they can, but then they’ll quickly realize that maybe the teenage daughter should also have a company phone and the spouse should have a company gas card and we go on from there. While these things are technically not correct, they’re not the way you’re supposed to properly manage a business and they are quite specifically ways that people cheat on their taxes. That business, it can still be a valuable profitable business even though the bottom line says it is not making the profit that it really is. A big part of the job of looking at small, privately controlled companies is doing the normalization process. Going through and examining things line by line to find out what exactly is going on in the business and what the true net benefit is to the owner. When we’re looking at selling one of these enterprises, the very first thing we have to do is an evaluation, which includes that normalization. The normalization follows a certain set of specific rules so that we can look at the true net benefit to the owner of the company. When I’m working with a seller, the first thing I do is an evaluation where I come back, and I let them know what the most probable selling price is and what the terms of that deal likely are, which is a very different thing from what a professional business appraiser would do because typically, they’re coming up with a value in terms of cash. My evaluation takes into account terms and most small businesses because small business financing can be difficult, are sold on terms. There’s some amount of down payment and there’s some amount of money paid over time after the transaction has completed. That’s the first step is evaluation and the setting of expectations for the seller. We then recommend an asking price and then the next step is the packaging. What information are we putting together so that we can make a coherent presentation to a buyer. This is important because the buyer can come along and meet the seller, talk about the business, learn about the business, become interested in the business, but then if the information isn’t available and packaged properly to satisfy their need for what they want to know initially, then you can get the buyer off. It would be akin to a car dealer having a car on their lot and you go on the lot and you say, “How much is that blue car? I really like it.” They say, “You’ll have to come back next week to find out what the price is. We also don’t know what any of the specs or mileage or what kind of stereo it comes with.” A car dealer just wouldn’t do that but small business people do it all the time. They’ll go and find someone who’s interested in their business and they won’t be prepared to have an intelligent conversation with them. Packaging is the next important thing that I do with people. Next comes the advertising. If people find out that a business is for sale, the business can be damaged because if word gets out in the public that this business is up for sale, people can begin to be worried that the business may be failing, that it might be preparing to close. People might be worried that they’re not going to be paying their bills. All of a sudden, you have a problem with suppliers not wanting to extend trade. Credit employees might be worried that the business is failing or a new owner may not like them or that a new owner has a stepbrother who needs a job and it’s going to be their job. All of these concerns can cause a business to falter and to be ruined. We have to keep it private and confidential. I manage advertising programs on behalf of some of my sellers where I’ll use business for sale websites. Post something in an anonymous fashion and then the buyers start to make inquiries and I filter those buyers before I introduced them to the seller. Then I coached the seller through the probe SAS until they get to the point where they need to start dealing with their attorney and their CPA who are going to finalize the contracts and the paperwork and help with the tax planning for the seller. From the buyer side, I usually come on the scene once someone has discovered a business that they may want to buy. I help them analyze the deal and take a look at the information. That means I get to look at the packages that have been put together by business owners or their advisors such as business brokers. I was helping a gentleman who is in the mid-Atlantic states and he wants to buy a commercial landscaping company and the business broker has a package, which has a profit and loss statement with some of the normalizing adjustments, but they wouldn’t give us the balance sheet. They’re trying to show us how profitable the business is. In a business-like landscaping, number one, we have a lot of equipment. We have to see what kind of replacement of equipment has been happening over the last few years. Number two, because they sell to other companies, there’s an operating capital component in there. Typically, they’ll mow someone’s lawn for a month and issue a bill and that customer might take 30 to 60 days to pay the bill. If you’re going to be buying a company that needs operating capital of a couple hundred thousand dollars, that’s obviously going to affect the terms and the price you’re willing to pay for that business. This is why packaging is so important. You have to anticipate what kinds of questions a buyer’s going to have, so you can make an intelligent presentation to them and not come across as someone who’s ill prepared and doesn’t know what they’re doing. The biggest risk to the sellers is that they miss what I call the reasonable buyer and the reasonable buyer is the person who has good credit. They got money in the bank, they have retirement savings, they can draw on and they’re familiar with the industry, and they know what the businesses should be priced at approximately. If we overprice the business or if we come across as inexperienced and unknowledgeable, we can lose the very person who’s likely going to be the one to buy the business. The tire kicker or the foolish person who doesn’t know what they’re doing, they can agree to pay way too much for a business. The seller will think, “I just got a great deal. I’m going to be rich now. I’ve sold my business.” As soon as I got to get to the bank, the bankers going to show him that he can’t afford the debt to do the deal he’s just agreed to. The whole thing falls apart. That’s how I help buyers and sellers. I take people through the process and what makes it different from what a business broker does is a business broker represents one of the parties and typically the seller and is paid when the business is sold and that seller ends up paying a huge commission check. I work with buyers and I build them for the things that I do along the way. Much in the same way that their accountant or their attorney would build them for any legal or accounting advice. My business has a very smooth cashflow because I worked for people every week. I’m issuing invoices every week and so I’m getting paid every week and I avoid those big peaks and valleys for my own business. From the seller’s point of view, they end up paying me far less than they would have broker when they finally sell their business. From the buyer’s point of view, I can give them unbiased advice because I’m not being paid by a seller. They’re engaging me to look at a deal and I can examine that deal and give them honest advice, which could be, for example, to walk away because it’s not a good deal. Very intriguing process, David. This is all new to me and I find it fascinating. With what you do, with that private transactional consulting, is it that individuals, whether it’s a buyer or a seller, would they still use services of a business broker or can they just use you directly and then administer the process themselves? Most of them just use me, except for buyers. Very often, I will be engaged by a buyer who has found a business for sale with a broker and they want my help to deal with what they’re getting from the broker. Most of my clients do not want the other party to know I’m on their team because if the other party were to Google my name, they would realize there’s an expert on the other side that knows what they’re doing. The principle that I’m helping either the buyer or the seller, they’ll deal with the other party, then come back to me and say, “This is what we discussed. This is what they want to do now. What do you think?” Then I’ll give them advice based on my experience. In terms of the sales, I know when you were mentioning in the business brokerage side, you primarily dealt with transactions of mainstream companies that had sales of $10 million and under. Do you still have that type of cap on your private practice? The way that I quantify it now is I will say sales or gross profit under $10 million because there are certain industries where you can have very high sales, but there’s an enormous cost of goods sold. Where I am, for example, here on the East Coast of Canada, there are businesses like fish packing plants. They might have sales of $50 million, but they’re spending $42 million to acquire the product. At the end of the day, they function much like a $10 million company, but they’ve got a high cost of goods sold. I generally say to people, “If their sales or gross profit is under $10 million, that’s in my space.” Once you get much further north of that, there are a whole whack of different types of advisors and advisory services that are more specialized in what I refer to as a midmarket space. My next question is for go-getters that are on either side of the fence. If someone’s thinking, “I never thought about buying an existing business,” it would be great for you to share what are the benefits of buying an existing business or how you used the term mainstream. On the flip side, I have a small consulting business that may be doing well, but at some point, I may want to think about selling it off as my exit strategy. How would they build a business that’s worth buying? I liked the term main street because it paints a picture in your head what kind of business we’re thinking about, like the tire shop or accounting practice or a grocery store. I do even deal a lot with some online businesses these days. The term main street, you picture in your mind a business being run by a family or maybe a small group of people, maybe twenty or 30 people at the most. The bread and butter businesses of our local communities. I do seminars in front of live groups and one of the things that I start my buyer seminar with is I say that I make the statement that is faster, cheaper, easier, and less risky to buy a business than to start one. I usually get a couple of protests from the crowd. How I basically demonstrate that is I say that you need two things in order to be successful in business. You need a product or service and a proven system of delivering the product or service and you need people that want to buy it, the customers. Those are the two things you need to be successful. When you start a new business from scratch, when you do a startup, what you don’t have is any customers and you may think that you have a product or service, but you may not have the system yet in place. The example that I often use is the dry cleaner. When I go to the dry cleaner, I give them three shirts, two pairs of pants, and a jacket. They gave me a little slip of paper with a number and I go back there two days later, and they gave me the very same pants, shirts and jackets, and everyone just takes it for granted that you’re going to get the same things back. Buy and Sell a Business: You need a product or service and a proven system of delivering the product or service and you need people that want to buy it. If you think about this, you realize that my trousers went one way, the shirts went another way, the jacket went another way, and the trousers that I dropped off got mixed in with probably 100 other pairs of pants. My clothes get intermingled with other people’s clothes. They get cleaned and then the three shirts could be pressed by three different people in the back. Then miraculously at the end of the process, all of my garments get put together, tied together with a twist tie and put on that magical curtain rod that moves when they push the button. 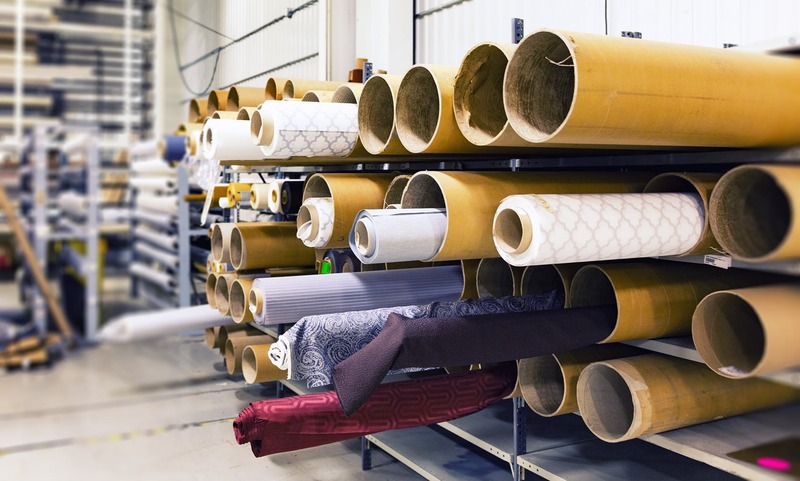 It’s more than just a machine that does dry cleaning. It’s more than just some irons and some pressing machines. There’s a process and a system that makes it all work together so that the business delivers the expected result every time. When you start a new business, you may not have those things, but what you will get is you’ll get noticed by competition. If I go into a town with four dry cleaners and I opened a new one, they’re going to watch me, they’re going to see me. They’re going to want to know what I’m doing and what most people do when they get into business, when they start a new business is they take a page out of the Walmart Management Book and they cut the price. They promote on price and what ends up happening is they start to work hard for less money than the competitors were. The new business likely has debt. They don’t have the money in the bank, and so they’re working hard for less money. Meanwhile, the competitors see that they’re losing sales and they’ve paid off their debts. They have money in the bank. They’re much stronger businesses. Who can last longer competing with established players. That’s why so many new businesses are failing because when they start to hurt the competition, the competition responds, and the competition can outlast because they’re established. If you were to start a new franchise, you get the products and the systems and the services. That’s what the franchise company is telling you that you’re going to get, but you still don’t have the customers. Same thing applies when you get into the market and you start hurting other people and taking their customers, they’re going to respond. The more established players are the stronger ones. If you buy an existing business, you get the customers, you get the product and service and the system to execute properly. You also get employees who know what they’re doing because they’ve been doing it over and over again. If you think about our fictitious town with four dry cleaners, if we buy one of them, the other people are going to notice that we bought one of the dry cleaners. If we don’t rock the boat, they’re not likely to rock the boat because if their making money, why would they want to work for less? I see it time and time again where people will have new ideas, new businesses. They’ll have a bunch of bravado and energy to get started and then the resources just aren’t there to carry them to that point. We’re all familiar with that break-even analysis that people do when they’re trying to plan a business where the overhead costs caused them to lose money every month while they try to get enough customers to break even and then hopefully start to make money. When you start a business, you don’t know for sure where that break-even point is, and then even once you hit it, you then have to earn profits and backfill all that money you lost before you really make money. When you buy a business, you might have a huge outlay on day one, but right from day two, you’re going to make profit because the business you bought was a profitable business. That’s why I tell people it’s easier, safer, cheaper, less risky to buy something that’s already working than to try to create something on your own. For people who don’t believe me, I then further look at this example. Those large corporations. Those big publicly traded multinational companies. It’s very rare that you hear of them starting new businesses. They’re almost always in the news acquiring someone else. That’s because the people that manage those businesses have all of that money entrusted to them by the shareholders and they always have to prove that they’re taking the best care of that money they can. If they invested in something that’s already profitable, they can show that they’re mitigating risk. All I do is say to people that they should treat their money with the same kind of care. Here’s the challenge for consultants. It’s the same challenge that exists for contractors and any kind of person that provides professional direct service. There are two types of goodwill in the world of business. There’s personal goodwill and there’s company goodwill. If people are coming to your consulting business because they want to hire you and they will only accept you because you are the expert and you’re going to have a challenge building a business that’s salable. For me, in my own business, for example, I faced this challenge because people hear me on podcasts. They watch my YouTube videos and they want to do business with me. They want me to help them. The way that I leveraged myself to grow a business is through my online courses and writing books and things like that, so that I can reach more people and help more people without spending any more of my time. For me to get to a level where I would build a business that could be sold, I would have to get to the point where people were contacting my company and they were happy doing business with someone else. I would have to have my processes formalized in such a way that I could teach someone else how to do what I do. If you think about, I know a restaurant, the chef opens a restaurant, maybe comes up with the recipes and they create all that, but they’re able to teach other people how to put those recipes together. As far as the customers are concerned, when they come in the door, they don’t care who made the meal as long as it’s great. Someone who’s in a consulting practice that they want to turn into a saleable business has to be able to create systems and processes so that other people can do the work. Then number one, you can grow and once you’ve grown the business and you have those other people doing the work, then someone else can see that they’ll be able to purchase the business and keep those other people working. You are not required to be there anymore. Without that corporate or business goodwill in place, if you sold your business, you would become one of the assets. This happens a lot in the world of advertising, accounting firms, law practices. These types of things where the buyer comes along and says, “I’ll buy your business, but you’re going to have to stay here and work here for the next five years and these are the targets you’re going to have to hit and these are the deliverables we expect of you.” They’ll usually hold back some portion of the purchase price until all those targets are met. It sounds like that person essentially becomes an employee again in a way. You try to transfer the goodwill from the old owner to the new owner. This is a very long process. It’s painful. Everyone dreams of selling the business and leaving, maybe staying for a little transition period. If the business doesn’t have business goodwill, if people aren’t doing business with your company, if they’re just doing it with you, then it really put shackles on you as far as your options when it comes time to sell. If selling your consulting practices, one of the things you want to do, today’s the day you start by implementing processes, procedures, and systems so that you can actually start to get other people to do what you’re doing. One fun fact I’d love to know is what are some of the most common businesses that you see are being sold today? The most common main street businesses that get sold that people are after are businesses that can be that family run business. The businesses you see all over the place. The carwash, the tire shops, the corner stores, the gas stations. There’s a ton of these changing hands all the time, but what’s happening more and more as I’m seeing more of these online type businesses. People who are operating a business and delivering service to a clientele around the world. I did an evaluation for a company that sells a certain category of product and they’ve got, they’re the masters of that product. There are 300 varieties you can buy on their website and they deliver to people all around the world and businesses go up for sale. Everyone imagines that they go up for sale when someone wants to retire, but the reality is that businesses go up for sale when there’s a pressing personal need on the part of the seller. These small main street businesses that I’m talking about, they don’t sell for very high multiples. They don’t sell for enormous amounts of money. Nobody sells them to cash out the way these home run Internet entrepreneurs do in Silicon Valley. When people find out what their business may be worth, most of them will not want to sell. They’ll say, “If I owned it for the next couple of years, I’d get the same money anyway.” What does make them want to sell is when they have a pressing personal concern. The top reasons are burnout and boredom. Divorce, relocation, poor health and retirement is one of the top five as well. 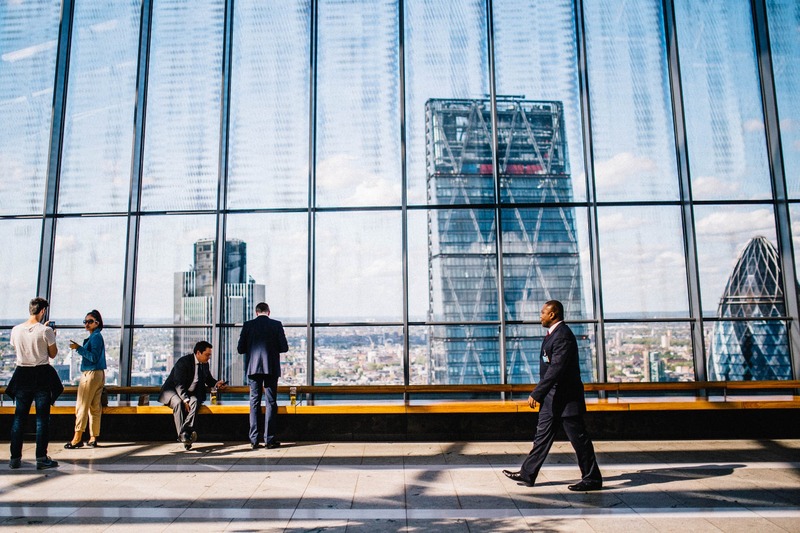 Four of the five top reasons that businesses go up for sale are actually not planned for. This is another reason why I’m always telling people, you have to run your business every day as though it may have to be for sale. You want to run it well and you want to run it for maximum profit because the price ultimately is based on the cashflow. The online business is the reason why I’m seeing more of them is because it’s been about ten years since a lot of people have had access to great internet connectivity. It’s been about ten years since a lot of these online entrepreneurs have actually been building and running successful businesses that earned money in the small business sense. Businesses that are earning people $50,000, $100,000, $150,000 and $200,000 a year. Since it’s been about ten years, now we’re starting to run in more and more to these personal things happening in these people’s lives that are causing them to have to sell their businesses. What about the hardest businesses to sell? I know you mentioned family run businesses and then online businesses are on the rise and you’ve given the reasons. What’s a hard business to sell these days? A hard business is one that’s full of dead capital. Dead capital is money that’s been invested which earns no return and it’s a sad story because oftentimes the business owners don’t realize this until they run into someone like me who shows them. I had a conversation on the phone this morning with a guy and he has a business in a small town. He put a couple hundred thousand dollars down to acquire the business and he runs it with employees and he’s able to pay his loans that he took on to buy the business. But then there’s nothing left after that. When we look at small businesses that are family run, these main street businesses, one of the measures of cashflow that we use is called seller’s discretionary earnings and that’s the total amount of money available to an owner manager that works full-time. It’s a combination of their wage and the profit of the company. It’s all the money available to them. I always tell my buyers that they need to get three things out of that discretionary cashflow. Number one, they need to take home a paycheck to pay the bills, feed the kids, all that stuff. Number two, they have to service debt. If they borrowed money to buy the business, you’ve got to pay the bank. The last one, the one that buyers so often forget about, is they need to get a return on and a return of the initial capital that they put in. The cash that they put in, when you tie up a bunch of money in a business and it’s able to pay wages and pay the bank, but it’s not able to pay back your investment then what you’ve literally done is put money into something and the money’s not earning a return. When buyers look at a situation like that, they realize, if I bought this business, I’d basically be buying myself a job. I might be buying myself an income and a lifestyle. I’m not going to be able to get anything back on the money I’m putting down. That’s hard. What it usually takes is it takes either someone who is so enamored with the lifestyle that they want to go for it anyway or it’s someone who literally has no choice but to buy themselves a job if they want to have an income. People typically who will buy a job because they don’t have a choice would be, for example, your new immigrants. Maybe they suffer a language barrier or maybe they have a professional certification in another country, but they can’t use that certification in their new home, their new home country. They’ll be so desperate to have an income that they’ll buy one of these businesses where they basically worked to earn a wage, but they’ll never get their investment back. Then the other group would be people who fall in love with a certain lifestyle. These are the people from the big city who buy the bed and breakfast by the seashore. They have this romantic notion of being an innkeeper, that Bob Newhart show kind of thing. The reality is unless you have fifteen to twenty rooms in your bed and breakfast, you’re likely never going to earn yourself a real rate of return. If they want to do business with you or run things by you, do you do business transactions outside of Canada? Yes, I do. I’m all over the world. In 2017, more than half of my revenue from clients came from outside of Canada. My biggest markets are Texas, California, and Toronto and I also have clients in the UK. I’ve worked with people in Australia and New Zealand. A lot of my clients come to me because of the books I’ve written and because of my YouTube channel and being that they’re in English. I hear from people in English speaking countries from all over the world. What I take people through is I take them through the analysis and the negotiation and then when we get to the part where the paperwork, tax planning, legal structure, all that stuff has to be done. I guide people with their CPA and their attorney. I’ve got a client in Florida who’s moving forward with an acquisition. Part of what I did is I gave him a list of twenty things for him to talk to his CPA about because he wanted to interview a couple of CPAs and decide which one he wanted. I said, “Here are the things you want to talk with them about.” To test their knowledge is just like any professional. Doctors, for example, in a given state may all have the same medical license, but some of them are pediatricians and some of them are heart surgeons. They have different areas of specialty. When you talk about CPAs, there are CPAs who’ve done small business transactions before and help people through due diligence. There are CPAs who largely do tax returns. You want to make sure that you’re hiring a professional who has experience in the exact field that you need them to do, so that you can get the best advice that you can. Same thing with attorneys. Buy and Sell a Business: There is nothing more satisfying than knowing that you’re making your own way in the world. What advice would you give a consultant that’s starting to plan maybe they want to either buy a business or they may even have a family member or you have a family business that they’re thinking that they need to prepare to be sold. Is there any last remarks, David? Come on over to my site, DavidCBarnett.com and you’ll be able to find my online courses. In particular, my YouTube channel has 250 videos and every video is about buying, selling, managing or financing a business. They’re all videos that have been created based on questions submitted by people out there who have these concerns and questions. People can learn a ton just by going through all that content and then if they want to work with me directly, they can engage with me. As far as people doing consulting, one of the things that I have discovered is that it’s very easy for someone to decide, “I’m going to work on an hourly rate.” We see this a lot in many different professions and the reason why it’s risky is because it means as a consultant, you’re capping your ability to earn money because you’re limiting yourself to how many hours you can invest in your clients’ files. From the customer’s point of view, it’s also risky because they imagine that it’s going to take you twice as long to do what they think. Twice as long as what they think it’s going to take. They’re worried that their $1,000 bill is going to end up being a $2,500 bill. In my practice, I work with a lot of my sellers. They are small business owners and my buyers. A lot of them don’t have a lot of experience dealing with consulting professionals. They typically are coming from a background of being an employee or they’re new to the country, etc. They’re worried that they’re going to hire me for a few hours and ended up getting to pay $1,000. As much as I can, I create what I call a menu I package my services into these bundles like a product and then they have fixed prices. I can tell that buyer who’s never engaged, someone like me before, I can say, “You’re looking at this business, you’re worried about what might be under the hood. You want someone to look at the numbers with you. I give you an estimate of what it’s really worth and what terms would be reasonable by this business. What you need is a buyer insight analysis. This is what I do, this whole list of things and here’s the price.” They can be confident and make a decision based on that price without having to be worried that it’s going to end up costing far more than they thought. I can price that service, knowing how long it usually takes me to do it. If I can do things a little bit quicker because maybe it’s the 25th carwash I’ve analyzed and I can do it rather quickly. Then it means I can earn a little bit more money than I might normally as well. This is such a fantastic, very intriguing conversation. David, thank you so much for being on the show. I’ve had a blast. Thanks for inviting me on and I want to encourage all your audience because there is nothing more satisfying than knowing that you’re making your own way in the world and that you’re the one who is doing the actions and you’re the one that’s going to benefit from the fruit of those labor. Employees, they are very dependent. They’ve got one source of income and as soon as you get into business for yourself, no matter how you manage to do it, all of a sudden you have all these different sources of income; all of your customers. It means that your existence is less risky than that of an employee. Anyone who has the ability should be in business. Thank you, David, for being a guest on the MECE Muse Unplugged. Thank you, my go-getters, for tuning in. Here’s to your journey to greatness. 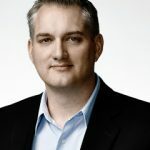 David Barnett is a 1998 graduate of the Williams School of Business and Economics at Bishop’s University, and a graduate of UNBSJ’s Electronic Commerce Management Program. Since the late ‘90s, Mr. Barnett has been building his profile as an expert in the field of small and medium sized enterprises. From 1998 to 2005, Mr. Barnett was a major account representative with the Yellow Pages. This opportunity gave him an insight into the particular challenges of small & medium businesses as he dealt daily with the owners of these companies. In 2005, Mr. Barnett left the publishing industry to start a small business with a partner. Their venture was an immediate success. After opening, operating and building the business, an opportunity to sell presented itself in late 2006. Around this time, Barnett began buying income properties. He eventually owned 3 multi-unit properties and one house which he disposed of in a lease-option deal. In 2006, Mr. Barnett began building his professional consulting practice by starting Advantage Liquidity Partners Ltd. ALP Ltd. was a broker of commercial debt solutions for small and medium sized enterprises including commercial mortgages, business loans, factoring facilities, and capital leases. Barnett has arranged such financing for hundreds of small and medium sized companies. Working with entrepreneurs to build their companies and/or acquire other firms naturally led to the field of business brokerage. Mr. Barnett joined Sunbelt Business Brokers in 2008. Sunbelt is the world’s largest network of business brokers with over 300 offices on six continents. In 2009, after completing training and testing over an 18-month period in both Canada and the U.S., Mr. Barnett was awarded the Certified Business Intermediary designation by the International Business Brokers Association which he maintained until leaving the profession. In 2009, Mr. Barnett’s company, ALP Ltd. purchased the Moncton Sunbelt office. After completing an extensive training and testing process in 2009, David Barnettwas awarded the CMEA designation (Certified Machinery/ Equipment Appraiser) by the NEBB Institute. CMEAs are located throughout the United States, Canada and several other countries, and are used by charter banks, BDC, other lending institutions, accountants, lawyers, business buyers/sellers and others to provide needed financial information for a variety of reasons. Over a 3-year period, Barnett helped intermediate 35 business buy/sell transactions in Atlantic Canada. In December of 2011, Barnett sold the Moncton Sunbelt franchise and took a position with American Express to manage their corporate mid-market revolving credit programs in Atlantic Canada. He worked with Amex until 2015. Barnett is an Amazon best-selling author with Invest Local: A guide to superior investment returns in your own community. Recent new titles include Credit Card Advantage: Understand the Costs and Benefits to your Business and Franchise Warnings: What you really need to know before you buy. All titles are available from Amazon or this website. Barnett’s April 2016 book; How To Sell My Own Business, became a best seller under Amazon’s Entrepreneurship category in its release month. Barnett works with entrepreneurs around the world helping them to buy, sell and organize their small and medium sized businesses. Contact David at dbarnett@alpatlantic.com or call (506) 381-8416 for media & podcast appearances or business inquiries.